Room 20 @Sunnyhills: A stunning end to our journey through art inspired by Janine andCharles Williams. A stunning end to our journey through art inspired by Janine andCharles Williams. A special thanks to the children in R8 and their teacher Ms Bedford, at Bairds Mainfreight Primary School who inspired us with their creativity! 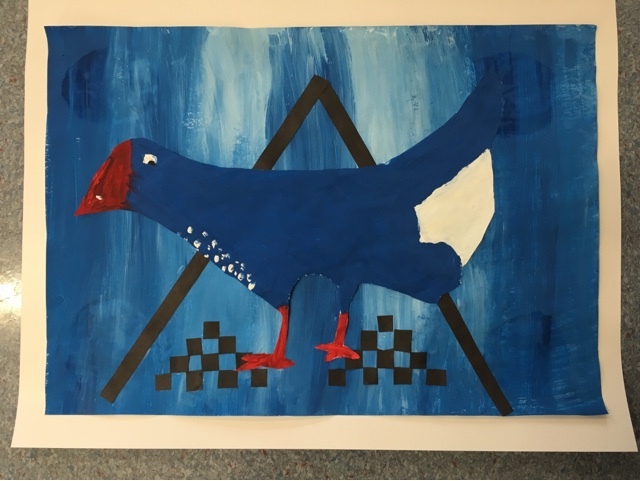 Our School houses of Takahe, Hoiho, Tui and Kea are represented in our paintings and designs. 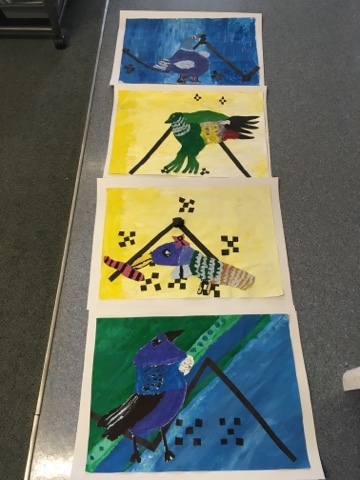 After spending hours pencil sketching, researching the birds' habitats, mixing colours and understanding what complimentary colours do to the eye, using mixed media; and cutting and designing layouts inspired by the murals by Auckland artists, Janine and Charles Williams, we have completed our own works of art! Each art work contains the chosen Bird, which the children are to protect as they grow up in Aotearoa. The children can become the kaitiaki or guardians of these native birds so that they will continue to see them in years to come.